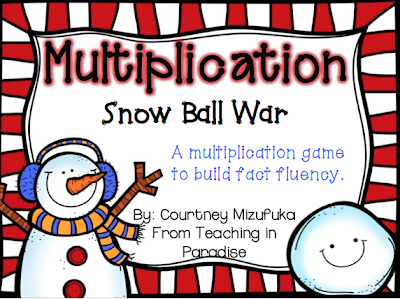 Teaching in Paradise: Facebook Fan Freebie! Hey Monday and thanks so much for stopping by! My kids have been working hard during math learning all about multiplication and division this quarter. I must say that they are loving every minute of it and are progressing really well! In my classroom, we do Math Workshop. During math workshop the students will rotate between 4 different 'centers'-Independent work, Hands-on, Computers, and Work with Teacher. 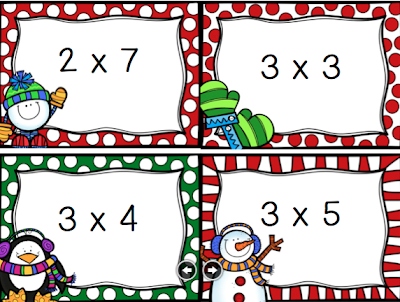 I'm gearing up for the holiday season already and starting to get some activities ready for our Hands-On Math. As a child, I remember my dad teaching my how to play the game War, with a deck of cards. This was such a simple game, but I loved it! 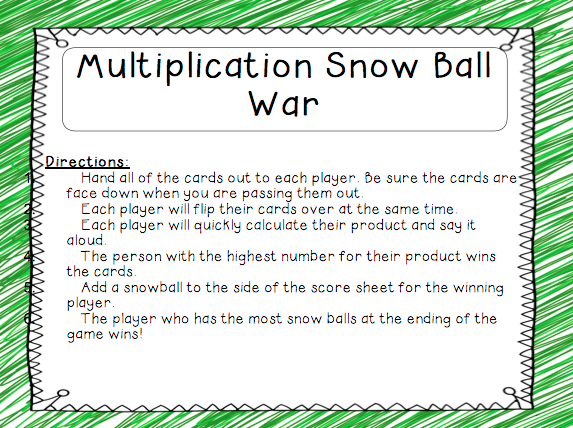 I decided to re-create the game of War..all while the students are practicing their multiplication facts! The students will be using these cards as their playing cards. They will split the deck in half, then flip the cards over one by one. The students will say their product out loud to one another. 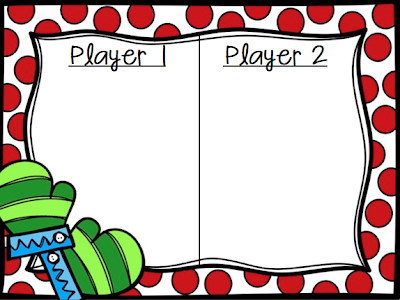 The student that has the higher product will win the cards. 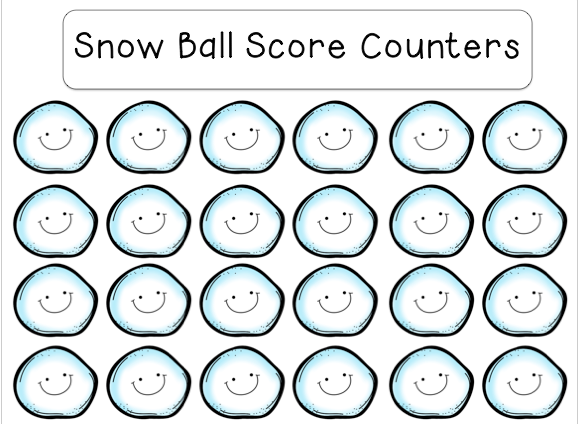 They will keep track of their score by using the score card to collect snow balls! 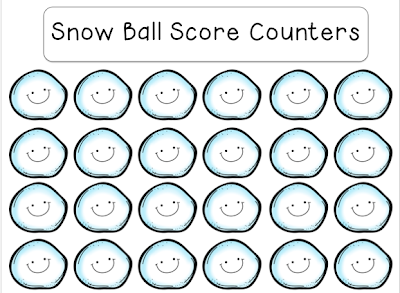 The student who has the most snow balls at then ending of the game wins the snow ball fight! You can score this item for FREE if you are a fan of the Teaching in Paradise Fan Page. Be sure to click on the 'fan freebies' tab at the top of the page to get access to this exclusive offer! Now I'm off to finish cutting these cards! Have a great week! Thanks for the adorable freebie! It is too adorable - I know my students will love it. Courtney is it too late to snag me a copy of these adorable snowman at war with multiplication. My kiddos hate practicing their facts and this would be great fun. 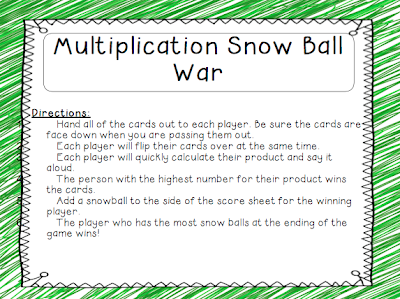 Morning Math Work and a Limited Time Freebie! A Peek Into My REAL Classroom and a Secret!